Friday, Jun 29, 2018, 4 – 6 p.m.
Dr. Cross has served as a Tribal Facilitator for the National Child Welfare Workforce Institute. 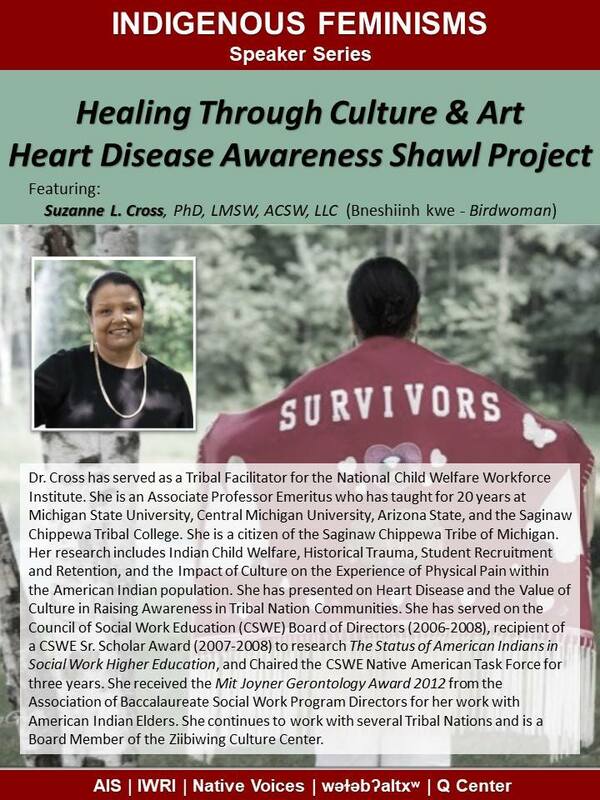 She is an Associate Professor Emeritus who has taught for 20 years at Michigan State University, Central Michigan University, Arizona State, and the Saginaw Chippewa Tribal College. She is a citizen of t he Saginaw Chippewa Tribe of Michigan. Her research includes Indian Child Welfare, Historical Trauma, Student Recruitment and Retention, and the Impact of Culture on t he Experience of Physical Pain within the American Indian population.